Simeon had foretold that the Divine Babe would be a Light to the Gentiles. They were already on the march. At His birth there were the Magi, or the scientists of the East; at His death, there would be the Greeks, or the philosophers of the West. The Psalmist had foretold that the kings of the East would come to do homage to Emmanuel. Following a star, they came to Jerusalem to ask Herod where the King had been born. It was a star that led them. God spoke to the Gentiles through nature and philosophers; to the Jews, through prophecies. The time was ripe for the coming of the Messiah and the whole world knew it. Though they were astrologers, the slightest vestige of truth in their knowledge of the stars led them to the Star out of Jacob, as the "Unknown God" of the Athenians later on would be the occasion for Paul preaching to them the God Whom they knew not, but dimly desired. Though coming from a land that worshiped stars, they surrendered that religion as they fell down and worshiped Him Who made the stars. The Gentiles in fulfillment of the prophecies of Isaiah and Jeremiah "came to Him from the ends of the earth." The Star, which disappeared during the interrogation of Herod, reappeared and finally stood over the place where the Child was born. 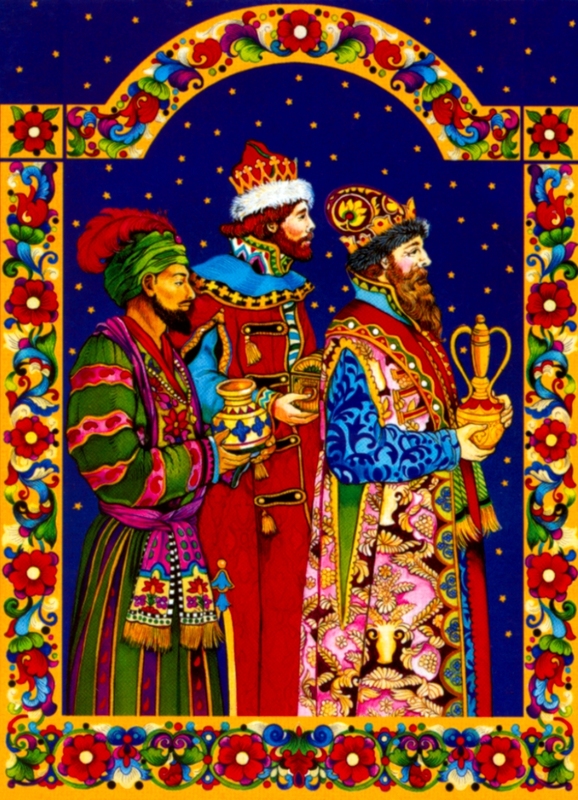 They brought three gifts: gold to honor His Kingship, frankincense to honor His Divinity, and myrrh to honor His Humanity which was destined for death. Myrrh was used at His burial. The crib and the Cross are related again, for there is myrrh at both. When the Magi came from the East bringing gifts for the Babe, Herod the Great knew that the time had come for the birth of the King announced clearly to the Jews, and apprehended dimly in the aspirations of the Gentiles. But like all carnal-minded men, he lacked a spiritual sense, and therefore felt certain that the King would be a political one. He made inquiries as to where Christ was to be born. The chief priests and learned men told him, "At Bethlehem in Judea, for so it has been written by the prophet." Herod said that he wanted to worship the Babe. But his actions proved that he really meant, "If this is the Messiah, I must kill Him." Totalitarians are fond of saying that Christianity is the enemy of the State------a euphemistic way of saying an enemy of themselves. Herod was the first totalitarian to sense this; he found Christ to be his enemy before He was two years old. Could a Babe born under the earth in a cave shake potentates and kings? Could He, Who as yet had no demos or people following Him, be a dangerous enemy of the demos-crotos or democracy, the rule of the people? No mere human baby could ever provoke such violence by a State. The Czar did not fear Stalin, the son of a cobbler, when he was two years old; he did not drive the cobbler's son and his mother into exile for fear that he would one day be a menace to the world. Similarly, no swords hung over the head of the infant Hitler, nor did the government move against Mao Tse-tung while he was still in swaddling clothes because it feared that he would some day deliver China to the murderous sickle. Why then were the soldiers summoned against this Infant? It must surely have been because those who possess the spirit of the world conceal an instinctive hatred and jealousy of God Who reigns over human hearts. The hatred the second Herod would show Christ at His death had its prologue in the hatred of his father, Herod the Great, for Christ as a Babe. Herod was fearful that He Who came to bring a Heavenly crown would steal away his own tinsel one. He pretended that he wanted to bring gifts, but the only gift he wanted to bring was death. Wicked men sometimes hide their evil designs under an appearance of religion: "I am a religious man, but . . . " Men can make inquiries about Christ for two reasons, either to worship or to harm. Some would even make use of religion for their evil designs, as Herod made use of the Wise Men. Inquiries about religion do not produce the same results in all hearts. What men ask about Divinity is never as important as why they ask it. Before Christ was two years of age, there was a shedding of blood for His sake. It was the first attempt on His life. A sword for the Babe; stones for the Man; the Cross at the end. That was how His own received Him. Bethlehem was the dawn of Calvary. The law of sacrifice that would wind itself around Him and His Apostles, and around so many of His followers for centuries to come, began its work by snatching these young lives which are so happily commemorated in the Feast of the Holy Innocents. An upended cross for Peter, a push from a steeple for James, a knife for Bartholomew . . . a sword for Paul, and many swords for the innocent babies of Bethlehem. 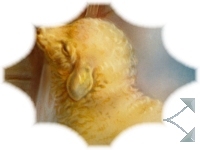 "The world will hate you," Christ promised all those who were signed with His seal. These Innocents died for the King Whom they had never known. Like little lambs, they died for the sake of the Lamb, the prototypes of a long procession of Martyrs---these children who never struggled, but were crowned. In the Circumcision He shed His own Blood; now His coming heralds the shedding of the blood of others for His sake. As circumcision was the mark of the Old Law, so persecution would be the mark of the New Law. "For My name's sake," He told His Apostles they would be hated. All things around Him speak of His death, for that was the purpose of His coming. The very entrance door over the stable where He was born was marked with blood, as was the threshold of the Jews in Egypt. 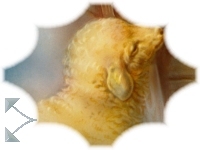 Innocent lambs in the Passover bled for Him in centuries past; now innocent children without spot, little human lambs, bled for Him. But God warned the Wise Men not to return to Herod; They returned home another way. No one who ever meets Christ with a good will returns the same way as he came. Baffled in his design to kill the Divine, the enraged tyrant ordered the indiscriminate slaughter of all male children under two years of age. There are more ways than one of practicing birth control. Mary was already prepared for a Cross in the life of her Babe, but Joseph moving on a lower level of awareness needed the revelation of an Angel, telling him to take the Child and His mother into Egypt. Exile was to be the lot of the Savior, otherwise the millions of exiles from persecuted lands would be without a God Who understood the agony of homelessness and frantic flight. 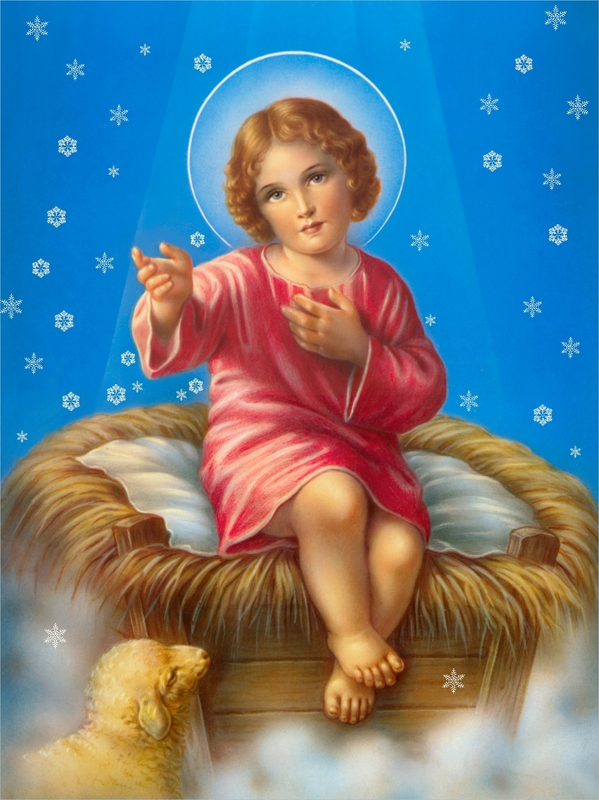 By His Presence in Egypt, the Infant Savior consecrated a land that had been the traditional enemy of His own people, and thus gave hope to other lands which would later reject Him. The Exodus was reversed, as the Divine Child made Egypt His temporary home. Mary now sang as Miriam had done, while a second Joseph guarded the Living Bread for which human hearts were starving. The murder of the Innocents by Herod recalls Pharaoh's slaughter of the Hebrew children; and what happened when Herod died recalled the original Exodus. When Herod the Great died, an Angel charted the course of Joseph, bidding him to return to Galilee. He came and settled there in fulfillment of what had been said by the prophets, "He shall be a Nazarene." The big cities are sometimes thought to contain all the wisdom, while the little towns are looked upon as backward and unprogressive. Christ chose the insignificant Bethlehem for the glory of His birth; the ridiculed Nazareth for His youth; but the glorious, cosmopolitan Jerusalem for the ignominy of His death. "Can anything good come out of Nazareth?" is but the prelude to "Can anything redemptive come from a man who dies on a cross?" While this was a reluctant tribute to His learning, it was also a sneer at His "backwoods" village ... How did He know? They did not suspect the true answer; namely, that in addition to the knowledge of His human intellect, He had a Wisdom that was not school-taught, nor self-taught, nor even God-taught, in the sense in which the prophets were God-taught. He learned from His mother and the village synagogue; but the secrets of His knowledge must be found in His oneness with the Heavenly Father. 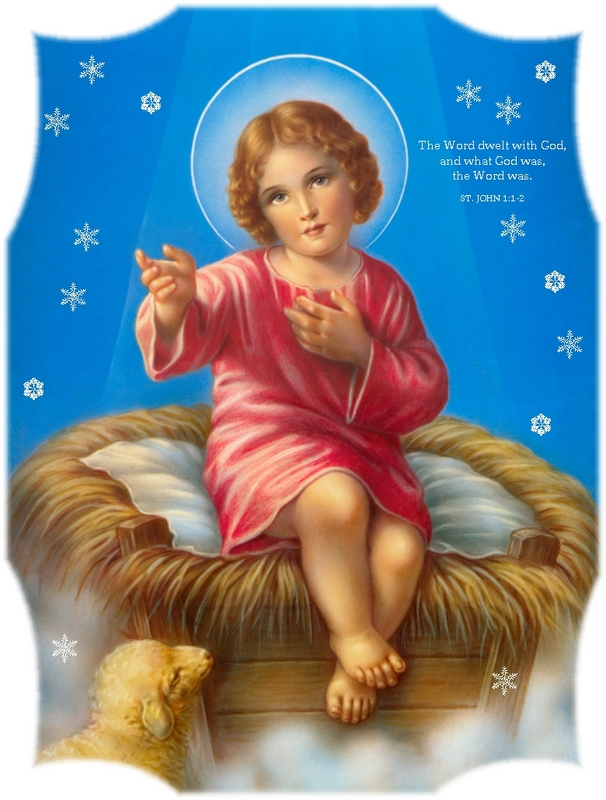 If you were unable to view the snow applet above because your web browser does not have this capability, you can view a plain, image of the Christ Child HERE.